This swan is so graceful and would make a fantastic centrepiece. 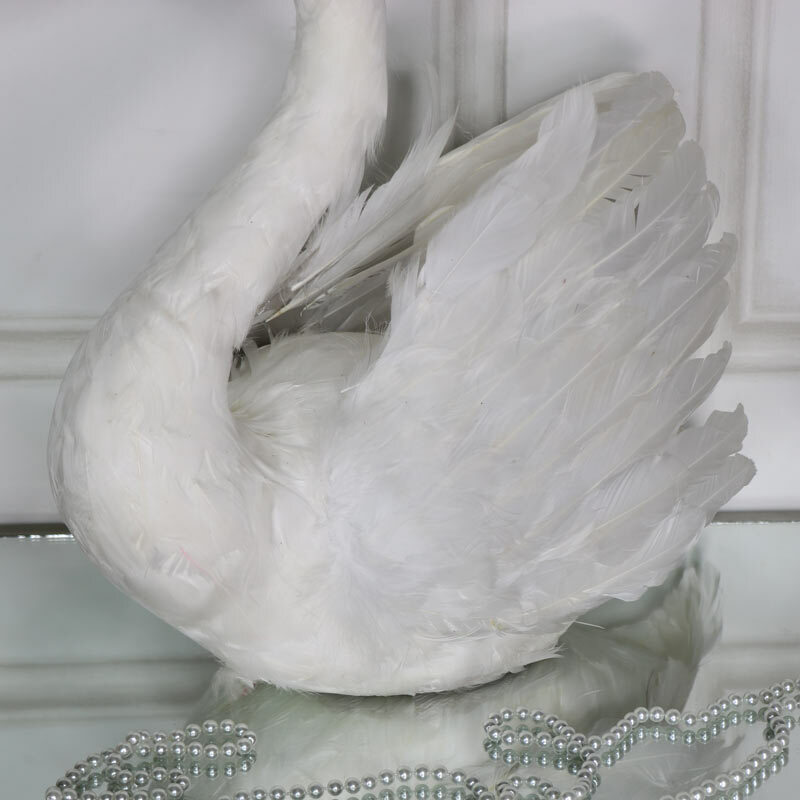 This swan makes a pretty ornamental figure and will add some elegant charm to a room. This swan is so regal and graceful with a golden crown sat atop her head. Soft white feathers help to create a soft decorative effect, a beautiful focal point for any room. A great gift idea for animal lovers. With more swans available for you to choose from. These make stunning, fun and beautiful decorations for your home. This swan is so graceful and would make a fantastic centrepiece. 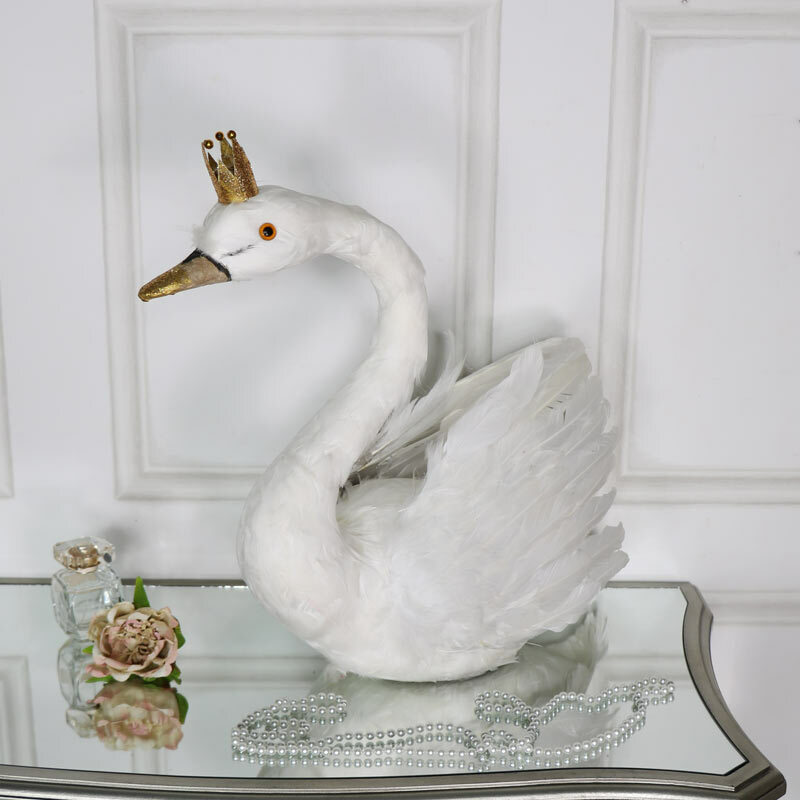 This swan makes a pretty ornamental figure and will add some elegant charm to a room. This swan is so regal and graceful with a golden crown sat atop her head. Soft white feathers help to create a soft decorative effect, a beautiful focal point for any room. A great gift idea for animal lovers. With more swans available for you to choose from. These make stunning, fun and beautiful decorations for your home. 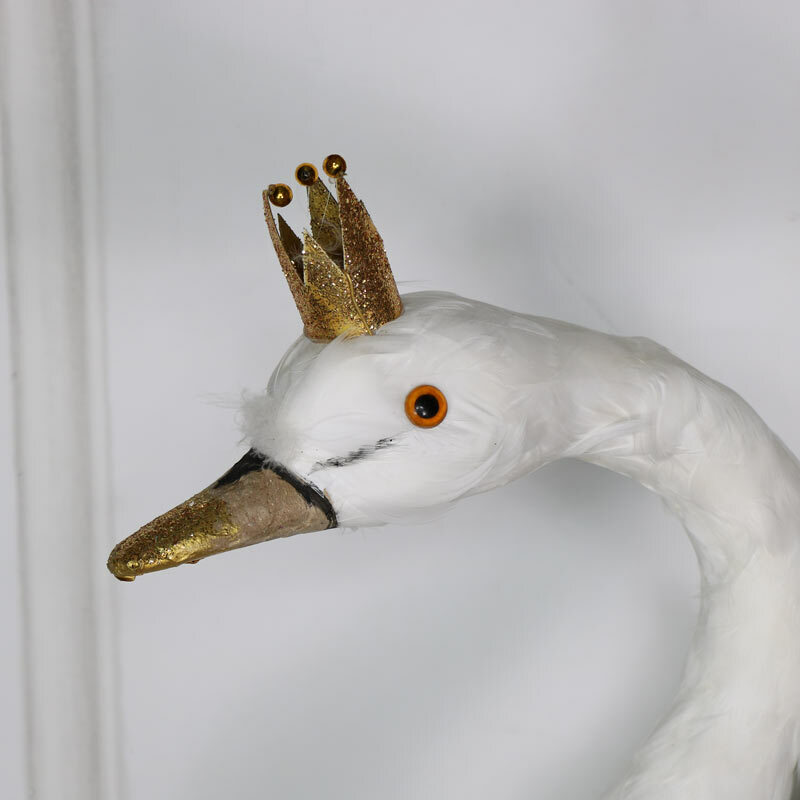 A lightweight design with soft white feathers covering the body and finished with a gold glittery crown. This graceful swan makes a wonderful addition to our range of gifts and accessories.